Tips for viewing: To hold the slide show, click Stop button in the center of the image above. To resume, click Play button in the center. 19th May : Lecture at Takane-Higashi Primary School, Hunabashi, Chiba Pref. [29 August 2016] The Peace Bell regains shiny gold letters. See the "2016 Highlight" page. [1 July 2016] Preview of the book in PDF file in the "2016 Highlight" page. [19 June 2016] A page "2016 Highlight" is created. [15 June, 2016] Seiko Takase and others left Japan to pay a visit to UN. 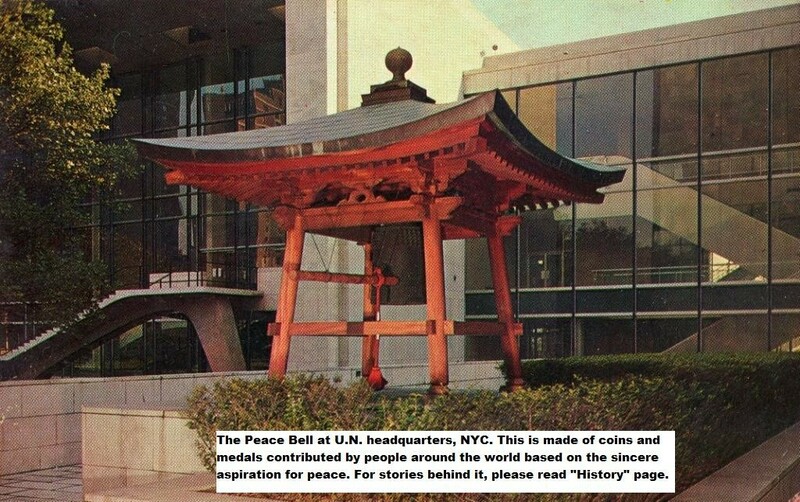 [5 June, 2016] A book "The Story of the UN Peace Bell" published. More info here. 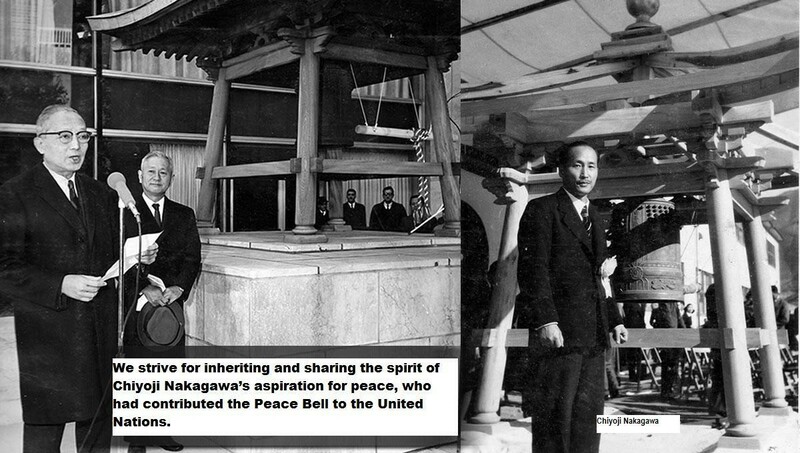 [14 October 2015] "Japanese Peace Bell" is introduced in the UN News website. [14 September 2015] A page "2015 Highlight" is created. [19 June 2015, Fri.] The legal status of this organization is registered. Click above button to proceed to the official home page in Japanese. 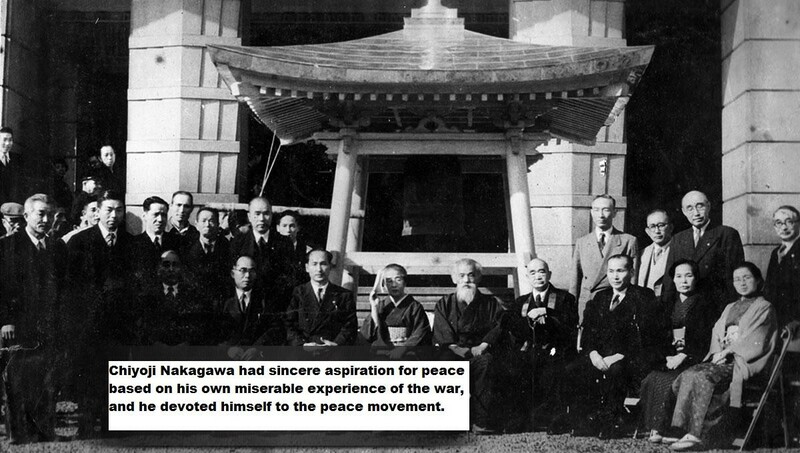 Copyright © 2015 Association for the Preservation of UN Peace Bell. All rights reserved.